The following is a guest post by Ryan Scherf. Ryan found a neat way to give avatars kind of rough, uneven, varied edges. Kinda like they were cut out with scissors by someone who wasn't very good at using scissors. What's nice is it's naturally a progressive enhancement technique and it can be done through just CSS. With a creative and fun brand like Quirky, we are always thinking about ways to bring that vibe to the web. Throughout the site, there is a "hand drawn" look to some elements. Without the use of lots of images, it's very difficult to get that hand-drawn vibe. With some light trigonometry and very basic knowledge of CSS' clip-path, we're able to do this with relative ease and good performance. What we're building. Notice the uneven and varied edges on each. Why not use image masks? The mask property can reference external SVG or SVG defined in the document by ID. But what if you wanted a unique shape for every single avatar displayed, not the same shape? You could programmatically generate lots of different SVG shapes to apply. But we can achieve the same thing and get that mathematical generation through generating clip-paths with (S)CSS. The browser support for clip-path, when used with a shape value like polygon(), is Chrome 24+, Safari 7+, Opera 25+, iOS 7.1+, Android 4.4+. Firefox supports clip-path only with the path defined in SVG (we'll cover that). No support in IE yet. You'll need to use -webkit-clip-path, as that's the only way it's supported right now, but probably best to drop clip-path on there too. If IE or Firefox start supporting it this way, it'll likely be unprefixed. There are a few different shape values you can use for CSS clipping but in our case, the polygon shape is best as it gives us the most amount of points and flexibility to create our hand-drawn effect. You give polygon() a list of X, Y point values, like: <x0> <y0>, <x1> <y1>, ... <xn> <yn>. That will draw a path around your points in order and crop any of the content outside of the newly created shape. See the Pen Hexagon with clip-path by Chris Coyier (@chriscoyier) on CodePen. Our hexagon is pretty cool, but it doesn't achieve a real sketchy effect quite yet. It's quite rigid - too few lines. The best way to think of a hand-drawn shape is a series of small lines connecting two dots. The more dots we have, the more short lines we create. In fact, with enough points, we could make a polygon shape so smooth it mimics a circle. See the Pen 200 Points by Chris Coyier (@chriscoyier) on CodePen. Here's where a little bit of math comes in. Perhaps you took trigonometry in high school? 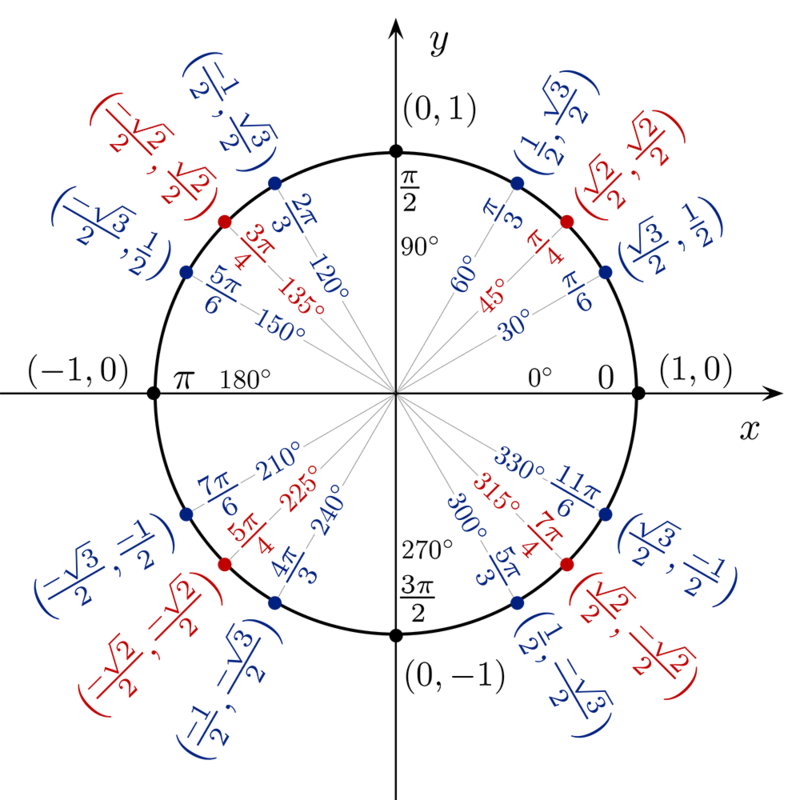 One of the fundamental ideas you learn in that class is regarding the Unit Circle. 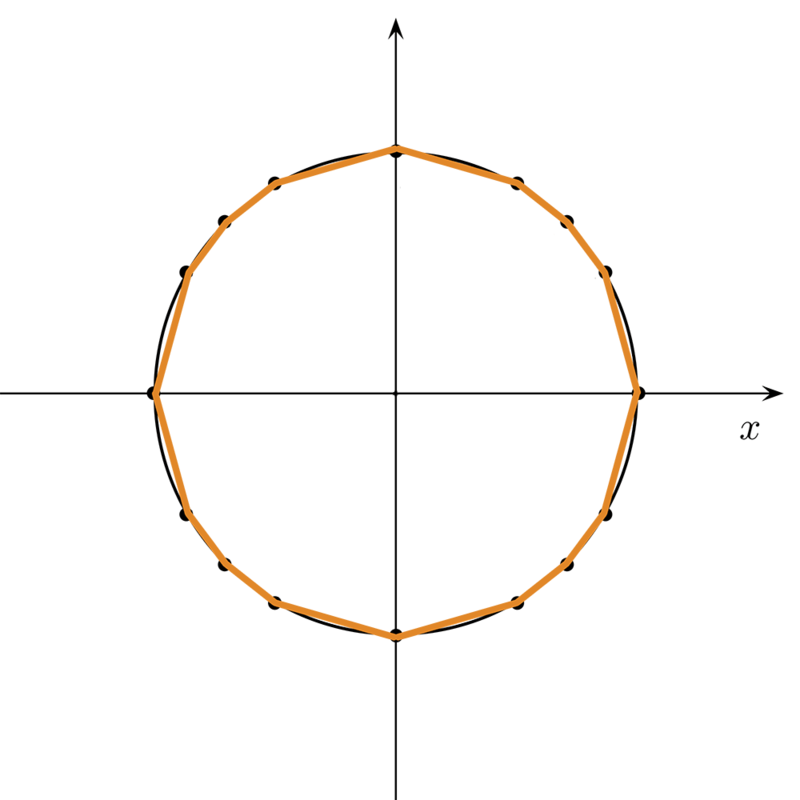 Basically, there is a set formula (given pi) that can generate any number of points around a circle. Still a little rigid, but looking a little more hand-drawn as well. We know how to make hexagons and circles with the clip-path: polygon(), so how do we make it look hand-drawn? This is a little hairy. What is happening is we start at the top middle of our shape, and generate list of sets of points around the circle for 60 evenly spaced points. The above code still produces fairly bland and uniform polygons, so we'll have to add in variance. All we need to do is adjust the points in any direction to give that offset feel we're looking for. The $lower and $upper variance numbers can be just about anything depending on the look you're going for. See the Pen Sketchy Avatars by Chris Coyier (@chriscoyier) on CodePen. Chris here! I thought since Firefox doesn't support this done this way, but does support the SVG syntax, we could maybe kinda polyfill it. // To get this to actually work, create a <div> instead with this inside, see below. Interessting, but still too complicated for an effect that you can easilly get using transparent pictures. But if you want all avatars to be uniform, can you really expect all of your users to upload transparent pictures that mask the image correctly? Do you want to be hassled with making sure every time you upload your own avatar that it is masked the way it’s supposed to be? This solution is actually a lot more convenient. One possible usecase for this would be to use the same created polygons as a CSS Shape on the picture to make some text flow around it, which you can’t do with a transparent picture. See the Pen MYYWrg by Karsten Buckstegge (@MrBambule) on CodePen. It doesn’t work because you’re using JQuery. JQuery doesn’t know how to create elements in the SVG namespace, or which elements should be in the SVG namespace. Which means that it creates a bunch of elements for you which look correct in your DOM inspector — they have the correct tag names — but they are actually all HTMLUnknownElement in the DOM. And so you can’t actually use them as SVG content. In contrast, when you copy and paste that markkup into a separate file, that file will get read by the HTML5 parser, which will recognize all <svg> elements and their children as being, well, SVGElements. Use the HTML5 parser yourself by (a) creating a dummy HTML div element, (b) passing your complete SVG markup string to the .innerHTML property of the div element, or the .append() JQuery method, (c) extracting the SVG element from the container div. Nice! I’ll chalk that up as the most important thing I learned today. …also just updated the pen, so that it only injects the SVG elements when they are actually going to be used. Almost, anyway. It won’t create the SVG if the final clip path polygon function is used (hypothetical so far), or if the webkit-clip-path property is recognized (Chrome or Opera). But it still creates them for Internet Explorer, which recognizes the basic url form of clip-path as a valid style declaration, but doesn’t apply it to non-SVG elements. This is pretty cool. Unfortunately, 99.9% of users won’t even notice or care that the edges look different. So, you might as well do it the easy way with images/SVG. Nice .Very interesting , unfortunetely I have never been good in math but it doesn`t look difficult . svgPolygonPoints ist added to the global window object. Not very nice. Nice post, good comments. I love calculated images, especially when trigonometry and randomness comes in to play. I don’t think this is working on Windows 8 on Chrome. I just dragged an image over the other one on codepen and it overlayed identically. loved it.. nice codding… you make this easy after such an explanation!